The latest version of this AI-powered photo app delivers one-click enhancement, but will its results be to your taste? It's probably not for serious photographers, but if you want a hassle-free way to enhance your snaps at a reasonable price, Photolemur's a must-have. There's nothing like coming home with an SD card crammed with photographs after a day out. And there's nothing quite like the prospect of having to tweak them all to bring you back down to earth with a bump. 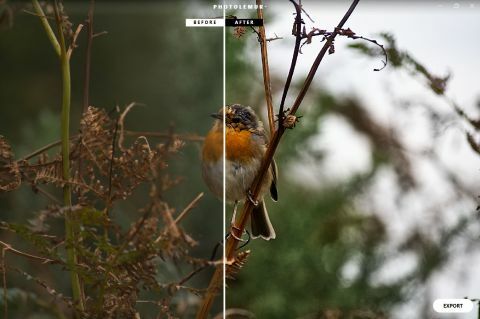 What looked great on your camera's screen never quite looks as good once you have it up on your monitor, and while it can be ever so rewarding to jump into your favourite image app to painstakingly polish up your snaps, sometimes you just wish there was something that could do it all for you. And there is. It's called Photolemur, and we first mentioned it back in December. Since then it's been completely rewritten with the aim of creating a seamless, one-button photo enhancement solution. Using AI techniques to analyse every photo you give it, Photolemur automatically fixes your images with colour recovery, sky enhancement, exposure compensation, smart dehaze, natural light correction, foliage enhancement and tint perfection. It'll also fix JPG artefacts, and it handles RAW files without breaking its stride. It's stupidly easy to use; all you do is drop in a photo or a whole load of them, and set it to work. It takes a while doing its thing, and out comes a set of enhanced pictures for you to peruse. Simple! The problem with a one-click solution, of course, is that you get what you're given; there's no opportunity to fine-tune Photolemur's output to taste. And with taste being subjective, there's a danger that you really won't care for what Photolemur delivers. However, in our tests we found that while it's not perfect – some of its results came out a little over-saturated and high-contrast for our liking – when Photolemur's results are good, they're really good, quickly breathing life, colour and contrast into a variety of snaps. Chances are that most of what you feed it will come out looking better than when it went in. Naturally it's no substitute for hours spent slaving over a hot Lightroom, but that's not what Photolemur's about. Rather, it's about providing quick and easy photo enhancement for anyone with lots of photos but without the expertise – or inclination – to make them look better. It's available now for both Mac and Windows for a monthly subscription of $6.99 with discounts available. If you want to give it a test run, you can download a free seven-day trial today.